The Tourism Development Department under the Ministry of Primary Resources and Tourism is pleased to announce the Brunei Gastronomy Week which will be held for the second time from the 23rd February to the 11th March 2018. This is an annual event initiated by the Ministry of Primary Resources and Tourism and the Brunei Tourism Board. 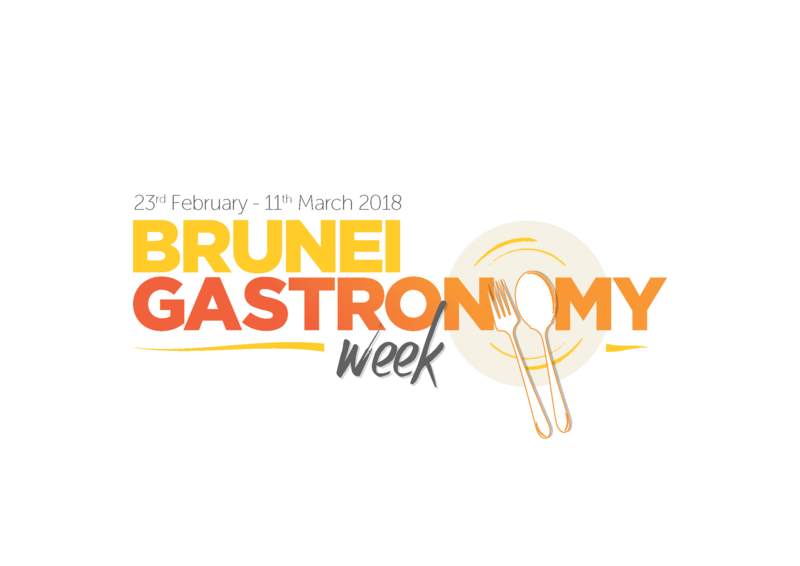 Brunei Gastronomy Week is organized in conjunction with the 34th National Day celebrations where the Ministry will be collaborating with several hotels and restaurants in Brunei Darussalam including Airlines, Association of Travel Agents, Brunei Association of Hotels, Hospitality Schools and other private sectors. The target audience predominantly consists of local as well as international visitors who are currently in the country. The objective of the event is to celebrate Brunei and create an awareness on the Bruneian Cuisine; to encourage more hotels and restaurants to serve the Bruneian cuisines in a more sophisticated way; to further improve on the taste and elevate the presentation of Bruneian dishes to be served as part of a fine dining experience or at receptions held within or outside the country; to provide a unique Bruneian gastronomical experience to visitors within or outside Brunei. The highlight of the Brunei Gastronomy week this year would be foods wrapped in banana (or other) leaves. Banana leaves used for cooking, wrapping and food-serving in a wide range of cuisines in tropical and subtropical areas. It adds a nice aroma to the food and improves the taste of some foods. Bruneian cuisines which are typically wrapped in banana leaves are such as Pais Daging, Pais Udang, Pais Ikan and others. They are either grilled, barbecued, steamed, or oven cooked finished. In addition, during the Brunei Gastronomy Week also encourages ethnic groups of Brunei in all 4 districts to take the opportunity to showcase their local ethnic cuisine.